The Ministry of Defence is headed by a Minister who also chairs the Defence Staff Council and represents the Ministry in the National Assembly and Cabinet. The Minister is supported by the Chief of the Namibian Defence Force (who is responsible for the military effectiveness of the NDF), and the Permanent Secretary, who is responsible for the financial, administrative and political aspects of defence policy and execution. The Ministry of Defence is tasked with formulating and executing the defence policies of the government, providing central operational and administrative headquarters for the Namibia Defence Force and procuring its equipment. 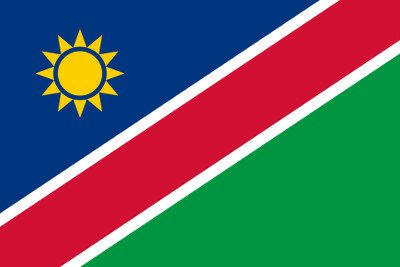 According to the Namibian constitution, the Defence Force’s main roles are to ensure the sovereignty and territorial integrity of Namibia, provide assistance to civil authorities and the community and to assist in the process of reconciliation (the Defence Force comprises of two former bush war enemies: the People’s Liberation Army of Namibia and South West African Territorial Force). In spite of limited resources, the Namibia Defence Force (NDF) is considered to be adequately equipped and trained to fulfil its mandate. Over the last decade it has re-equipped and modernised. The Namibian Navy in particular has made strides to become a stronger and more effective force, with the main aim of gaining the ability to monitor and control its exclusive economic zone (EEZ), as the country derives significant revenue from its fishing industry. To this end the Navy has received a variety of vessels including two Namacurra class harbour patrol craft from South Africa in 2002, a Brazilian corvette in 2004, a Brazilian patrol craft in 2009 and an offshore patrol vessel from China in 2012. The Namibian navy operates from the country’s only naval installation, the PN Sacharia Naval Base in Walvis Bay. Duties include fisheries patrol, search and rescue and offshore asset protection. The navy employs a highly trained force of 500 sailors, most of who were trained in South Africa and Brazil. Its firepower is supplemented by a marine corps unit which employs at least 200 marines who are also trained extensively in naval warfare by Brazilian tutors. Of late, Namibia has increased military co-operation with China and the relationship is expected to grow – Namibia was seen evaluating a Chinese Humvee clone last year and recently took delivery of 12 F-7NM fighter jets from China, which equip its single fighter squadron. Indeed, much of the Namibian Air Force’s equipment comes from China, as well as India, which have supplied helicopters, transport aircraft and trainers. Due to its historical ties, Namibia has received substantial defence support from Germany, which has donated military equipment and provided training to the NDF. In August 2013 Germany pledged some N$40 million in military support over the subsequent three years, bringing to N$200 million Germany has budgeted for cooperating in the field of defence since 1992. Together with the Namibian government, Germany has provided a mobile field hospital, a vehicle mechanic training centre, more than 25 tons of medical equipment, 20 all-terrain ambulances, trucks, spare parts and equipment. It will focus on establishing a Camp Operation Logistic Unit, which Namibia will use when contributing troops to African Union and United Nations-led peacekeeping missions. Namibia has a limited defence industry that supports the NDF, with Windhoeker Maschinenfabrik producing the Werewolf series of armoured personnel carriers for the Namibian Army. External	 •	Namibia is currently facing no external military threat. Internal •	Namibia is considered to be internally stable with crime considered to be the country’s biggest internal security threat. Regional •	Regional security threats within Angola and Zimbabwe may affect Namibia’s foreign security policies. Political •	Namibia is considered to be politically stable and have one of the continent’s most vibrant democracies. Economic •	Although the majority of Namibia’s population engages in agriculture the country has a modern market sector which produces the majority of the country’s income.